United Way of Delaware is good at bringing community leaders, businesses, and citizens together to help communities grow in the areas of early education, college and career readiness, and financial stability. Sometimes growth needs to happen at the public policy level, so we can bring awareness to issues that champion or threaten the health of communities. In Delaware, this means holding community conversations, rallies, and events to encourage legislators, community members, and leaders to talk, brainstorm, and ultimately come up with solutions to address pitfalls. A barrier for growth can also stem from a lack of resources. Many small agencies don’t have the time, staff, or funds to reach the people who desperately need their services. This is where United Way bridges the gap—we qualify agencies to make sure they’re effective, and then we help agencies and people connect. We do this with our state partnership helpline, Delaware 211, our affinity networks and initiatives, by sharing information throughout our wide network, and connecting with groups and individuals at community events. We also provide funding to organizations with measurable goals to provide community services. Since United Way has massive local, national, and worldwide networks, organizations also call on us to provide volunteers for work in the community. Without volunteer time, many agencies wouldn’t be able to continue their good work. 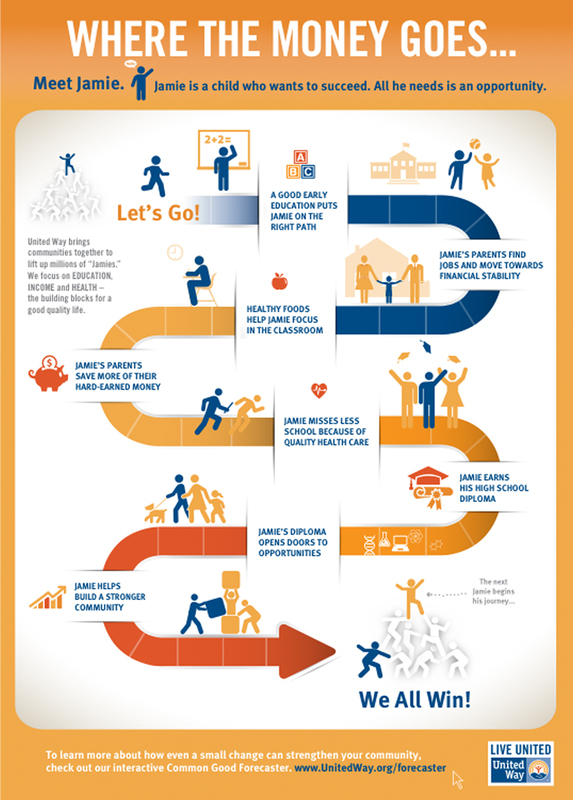 In this way, United Way makes the most of the dollars, time, and talent with which we are entrusted to get the farthest reach and produce the greatest outcomes. In order to effect true change in the community, United Way of Delaware has moved from solely a funding source to a full community impact organization. This means that we strategically and intentionally mobilize communities. By focusing on education, income, and health, we directly engage, influence, and assist individuals and families so they can live up to their greatest human potentials. Do you have any questions? Find some answers here.